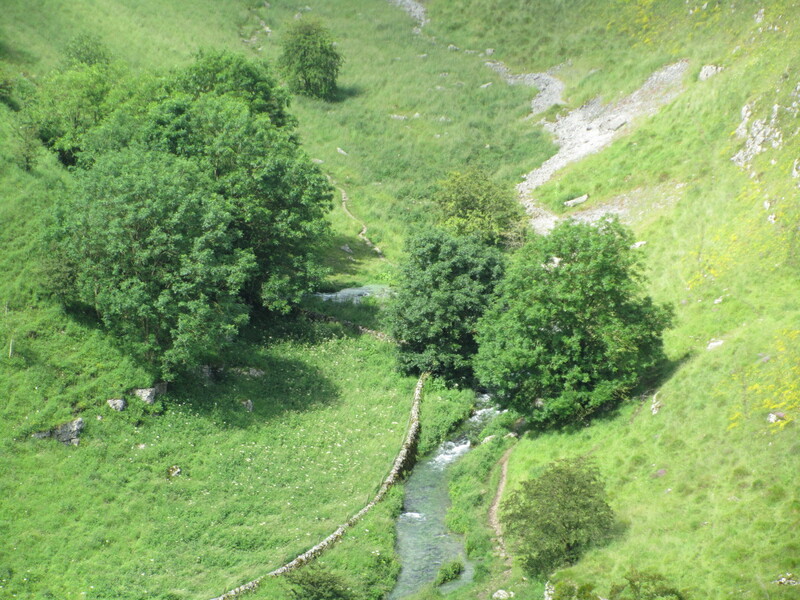 Lathkill Dale is a very beautiful and fascinating place for many reasons. Its geological history is outstanding. It is home to an abundance of wild flowers. What interested us the most however on our guided Nature Walk yesterday was the River Lathkill itself. The River Lathkill rises in different places throughout the year depening upon where the water table lies. 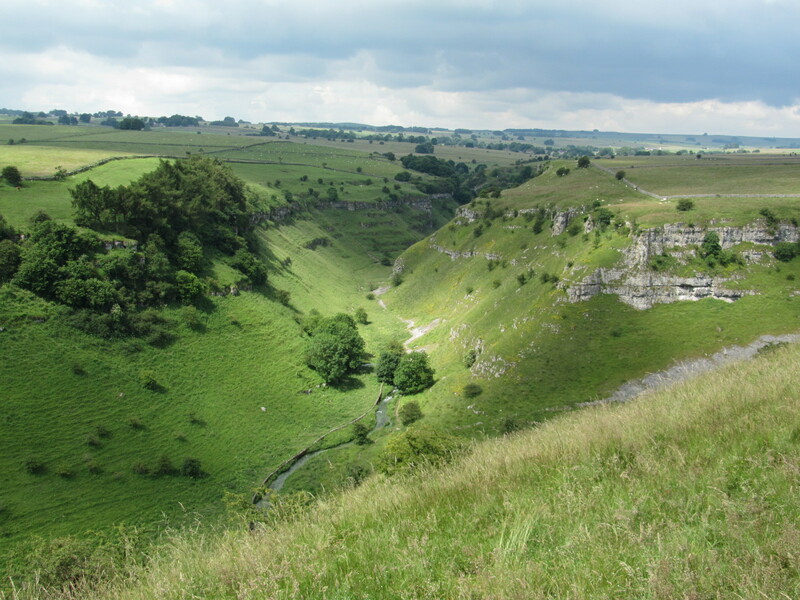 After prolonged periods of heavy rain, usually in the winter it flows gently out of a cave called Lathkill Head Cave which is towards the western end of the dale. In recent years however the point where it has risen has tended to be much further to the east, further down the valley. Last summer, much of the dale was completely dry. When we where walking in the area yesterday, standing on Parson’s Tor high above the valley, we saw the spectacle of water gushing out of Lathkill Head Cave and forming a fast flowing river down the valley. No doubt a result of the exceptionally heavy rainfall that we have experienced over the last few weeks. The photographs below were taken a little further along, looking down into the valley at the river where last summer it was completely dry. 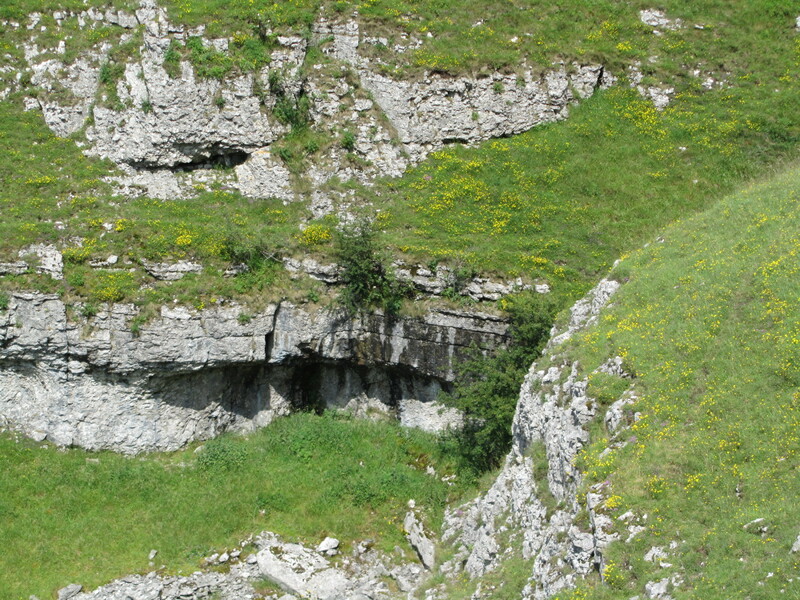 The cave is hidden between the two trees on the photograph. 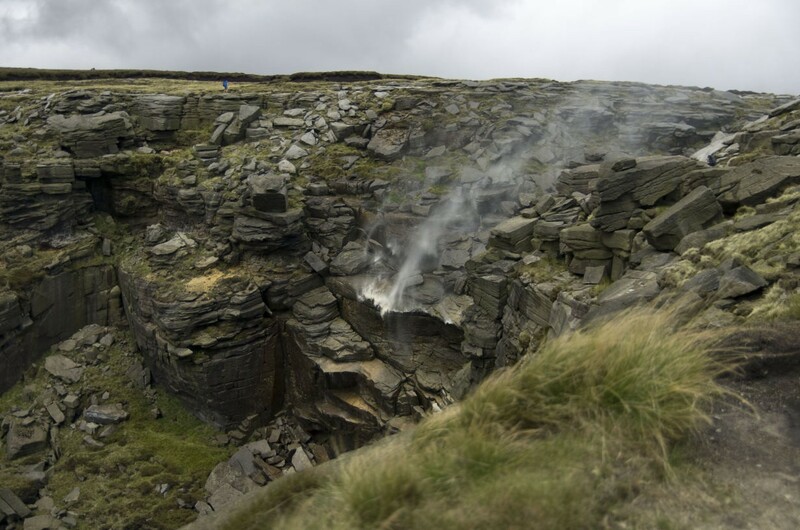 Even the dry waterfall which was formed millions of years ago by water erosion on the northern side of the dale was showing signs of water starting to drip over it once again, as can be seen by the darker, wet areas on the rocks. The source of the River Lathkill after prolonged heavy rain. It was gushing out of Lathkill Head Cave behind the two trees. Dry Waterfall in Lathkill Dale with water starting to drip over it once again.